Don't worry, it's not Windows RT all over again. Looks like Microsoft isn't done with its world tour. After a series of events in New York, Seattle and Shanghai, the company has yet another big announcement to make in Taiwan here at Computex 2017. And in keeping with the theme of bringing Windows everywhere, Microsoft is working with Qualcomm and Intel to deliver "Always Connected PCs" that are constantly online, have long-lasting batteries and portable designs. Today's announcement sheds more light on the concept of Windows 10 on mobile Qualcomm processors that Microsoft had teased at its WinHEC event last December. Now, we're learning that the chipset that makes this possible is the Snapdragon 835, which currently powers high-end flagship phones like the Samsung Galaxy S8 and the Sony Xperia XZ Premium. Don't confuse Windows on Snapdragon with the Windows RT strategy, though. Microsoft says the new devices will run the full desktop version of Windows 10 -- not a tweaked interface for mobile, though this may eventually include Windows 10 S. That means you'll get x86 app compatibility, Cortana, Windows Ink, Hello, among other features. Since no actual machines have been announced yet, it's not clear if they'll be laptops, convertibles, tablets, or phones, but Microsoft doesn't appear to be limiting this concept to a product category. You can at least expect devices from traditional laptop makers ASUS, Lenovo and HP, who have said they'll be developing products for this new initiative. In general, Always Connected PCs won't have to use Qualcomm's chips (Intel-powered devices can qualify as well), but the ones that do will see several benefits from Snapdragon 835. The most important advantage is gigabit LTE connectivity, which will allow these devices to download videos or webpages at blazing speeds. In fact, during a demo here in Taiwan, a Qualcomm rep downloaded a 1.9GB movie over a custom gigabit LTE network on to a prototype device in less than 30 seconds. The connection speed was tweaked to match anticipated real-world rates of about 300Mbps, not the 1Gbps it can technically achieve, but what's impressive is Qualcomm anticipates it will be able to sustain that throughput instead of hitting it in bursts. 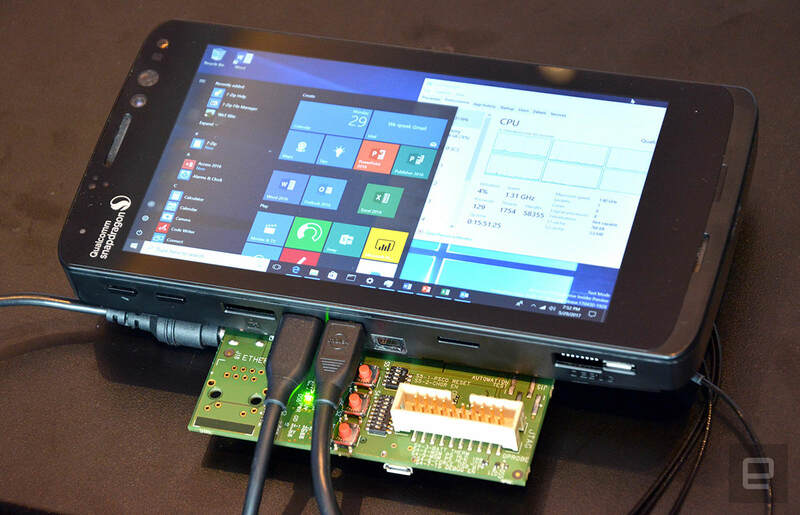 Speaking of, Windows devices on Snapdragon will come with embedded e-SIM support to make it easier to get online without having to fiddle with a SIM tray or a tiny card. Devices with SIM trays can also get connected with e-SIM adapters. It also enables the idea of snackable data consumption, which lets consumers buy data in bite-sized portions (say, 1GB or 2GB) when they need it from the Windows Store. This could actually encourage more people to use mobile data without having to subscribe to a new data plan. During our demo, our rep also created PowerPoint slides, scrolled rapidly up and down the Start menu, created a Pivot Table from a large Excel spreadsheet and copied and pasted text between Word and PowerPoint windows -- all without lag. He even jumped across three virtual desktops with ease. Sure, these demos sound kind of boring, but they're important basics to get right if you actually want to get work done on these PCs. 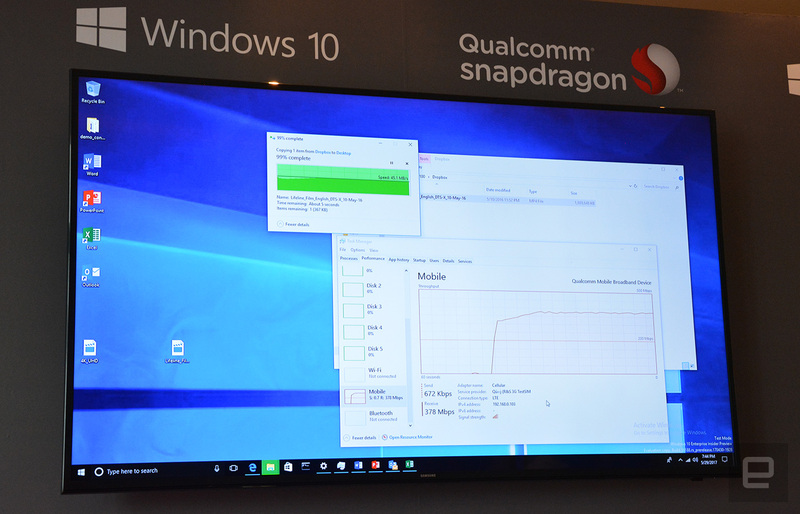 The performance we witnessed is similar to that of an Intel Compute Stick, based on our experience, and this responsiveness is key to making Snapdragon PCs feel like they are full Windows devices and not watered down versions. Another bonus is Snapdragon 835's smaller physical size compared to its predecessor and competition. That not only lets device makers create slimmer products and experiment with different forms, but also leaves more room for parts like larger batteries. 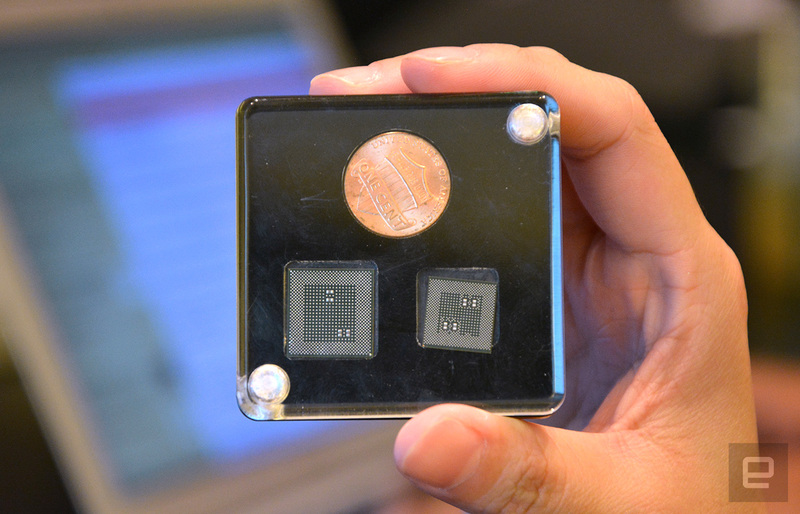 Combined with the chipset's power efficiency, this could lead to longer-lasting machines that will stick around for more than a day. You'll also get more endurance in standby mode, and the new devices will feature something called Connected Standby. With this mode, your PCs can wake from sleep faster than before, and remain connected to your WiFi or cellular network to keep syncing your data in the background while idle. It also enables Cortana to actively listen for your commands even when the machine is locked. These details for Microsoft and Qualcomm's vision for the Windows on Snapdragon seem well thought-out and feasible, but because we haven't seen consumer-ready versions yet, we can only be cautiously optimistic. Many of the promises being made around speed and battery life are dependent on external factors like network coverage, gigabit deployment and individual device specs. But based on the demo we saw, Microsoft may have finally found a way to make Windows truly mobile.